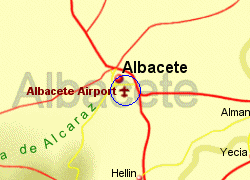 The small regional airport of Albacete, located 5Km south of the city centre, handled just 17,500 passengers in 2006, but has a new terminal building, opened in 2005. The cafe/restaurant is open to coincide with flight departures. Taxi to the city centre should cost under 10 Euros. 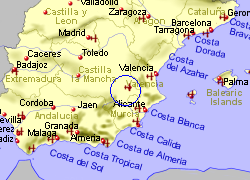 Sorry, but we do not have any details of flights to Albacete Airport.